GET READY TO MOVE! 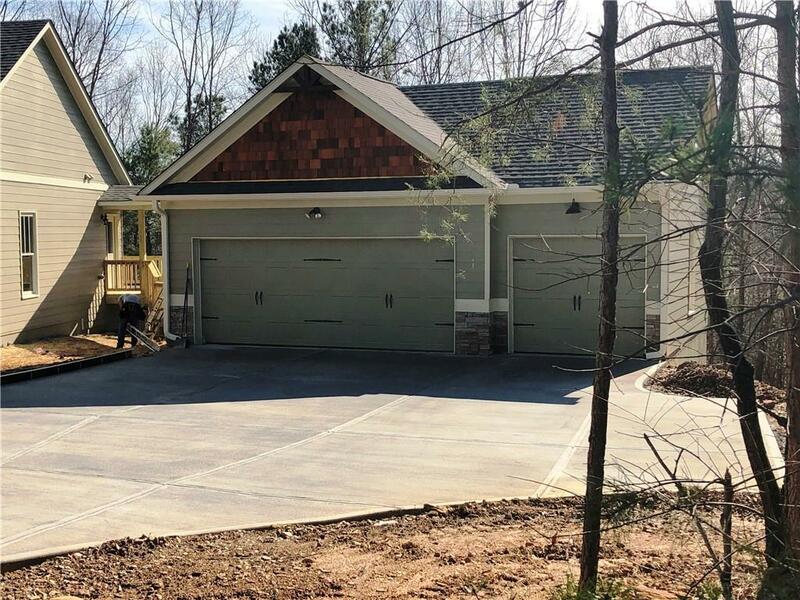 This quality new construction craftsman style home is conveniently located between Ellijay and Jasper in the private gated community of Town Creek Estates. Features include a large open floor plan with three bedrooms on the main level, wood floors in the great room, granite counter tops in the kitchen and baths, as well as a THREE car detached garage.There is also a large screened porch and grilling deck for entertaining. The basement is unfinished but has already been configured for an additional two bedrooms, full bath, and family room. Directions: From Home Depot In Jasper Take Hwy 515 North For 8.4 Miles To A Left Onto Whitestone Road. Go To The End And Make A Left Onto Old Hwy 5. Go 1/4 Mile To Right Onto Town Creek Road. House Is 7/10 Mile On The Left.